You're as close to a real-life Disney princess as it gets, which means that you're definitely going to be a Disney bride, and your wedding is really the perfect place let your inner Disney Princess shine. 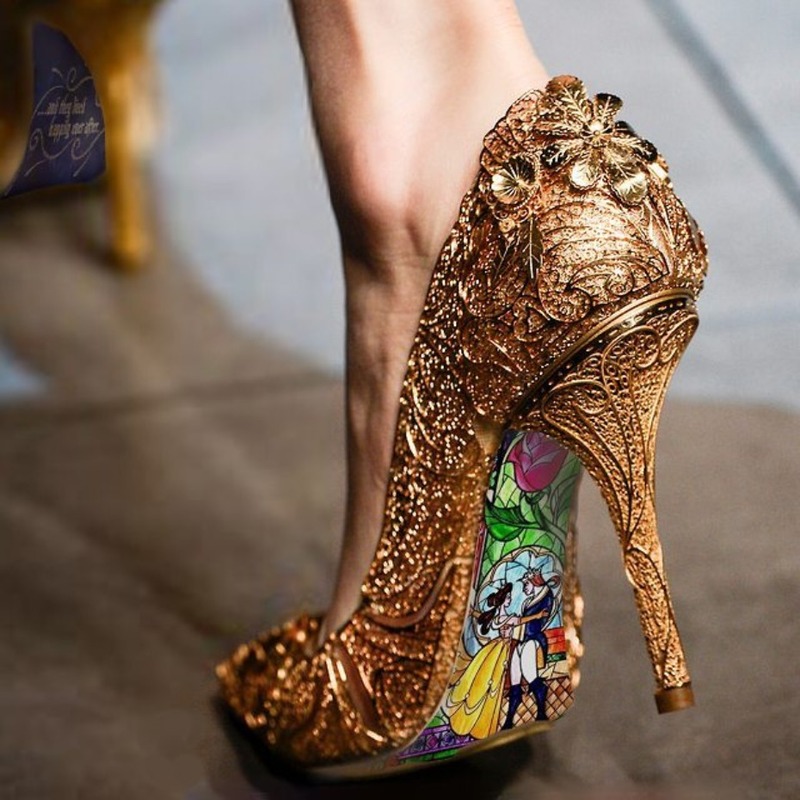 Whether it's a small touch like having the back of your bridal shoes hand-painted or going all out and wearing a Disney Wedding Dress, it's ok to be you and let your girly Disney princess shine. Snow White, Cinderella, Aurora, Ariel, Belle, Jasmine, Pocahontas, Mulan, Rapunzel, Elsa, and Anna would all approve. Now, read on to see 10 ways you know you're a Disney bride. When you love Minnie Mouse so much that you are going to make all of your bridesmaid dress up as her. When your wedding ring looks look like a Tiara. By the way, Zales has 28 Disney Princess engagement rings that you can slip on your finger and instantly feel like Cinderella. This enchanted bridal set is a mere $2,671.20, and can be purchased at Zales. In case you wanted to let Prince Charming know. You know you're a Disney bride when your wedding shoes have your favorite Disney movie hand painted on them. Brinakadoodle will bring your favorite Disney fairy tale to life, so you can dance the night away in true Disney fashion. When love snow white so much that your whole wedding revolves around her. 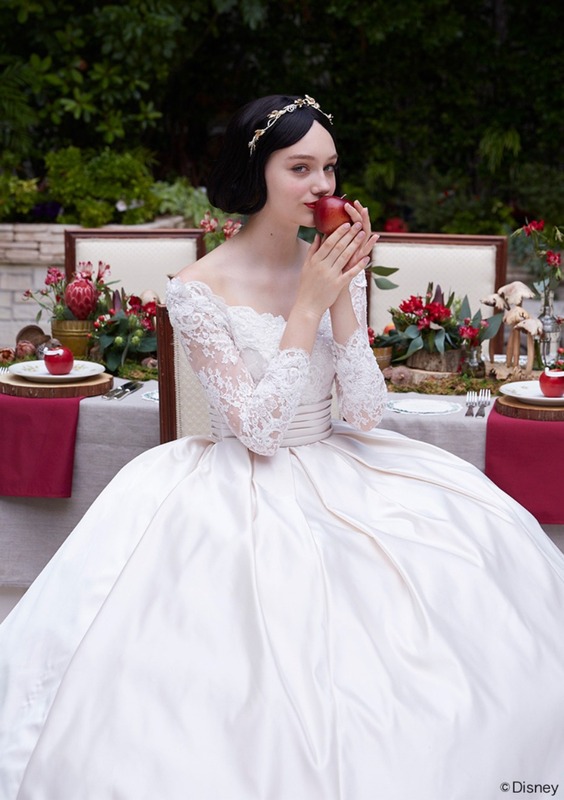 Snow White wedding ideas here , and another Snow White wedding here and another one here. When you insist that your hair looks exactly like Rapunzel's. Want more Rapunzel wedding ideas go here and our most famous Rapunzel wedding ever here. You and your love are pretty much Flynn Ryder and Rapunzel in real life, so you will definitely have a Tangled inspired wedding cake. 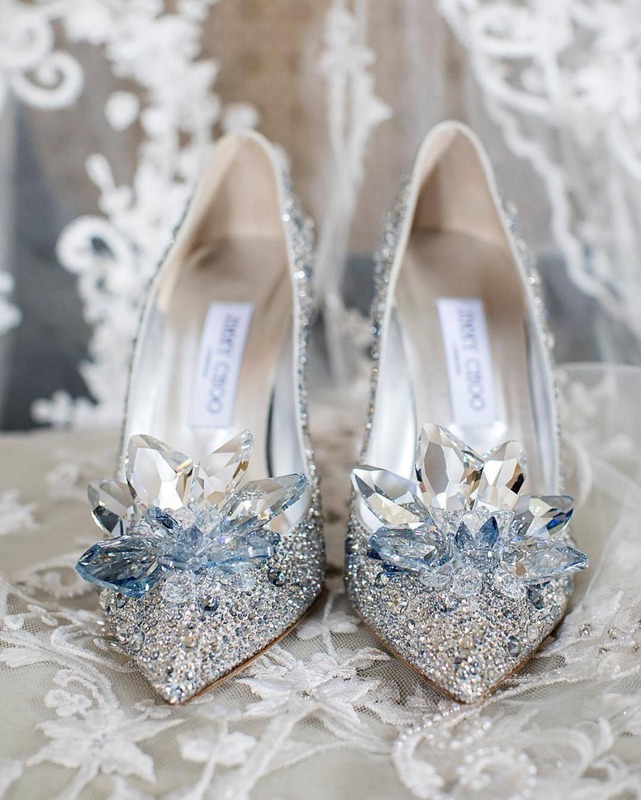 You opted for the less expensive ball gown so you could slip into these magical Cinderella-inspired wedding shoes. See how much these will set your bridal budget back here. Your wedding gown willl sparkle and shimmer like Cinderella's. The stunner above is from none other than Berta. Style number 18-03 to be exact. See the entire collection here. It's STUNNING! You decided against the floral crown and went with custom wired mouse ears from Minnie & Co. instead. Just a heads up they will start taking custom orders on April 28, 2018, so mark it on your calendar. 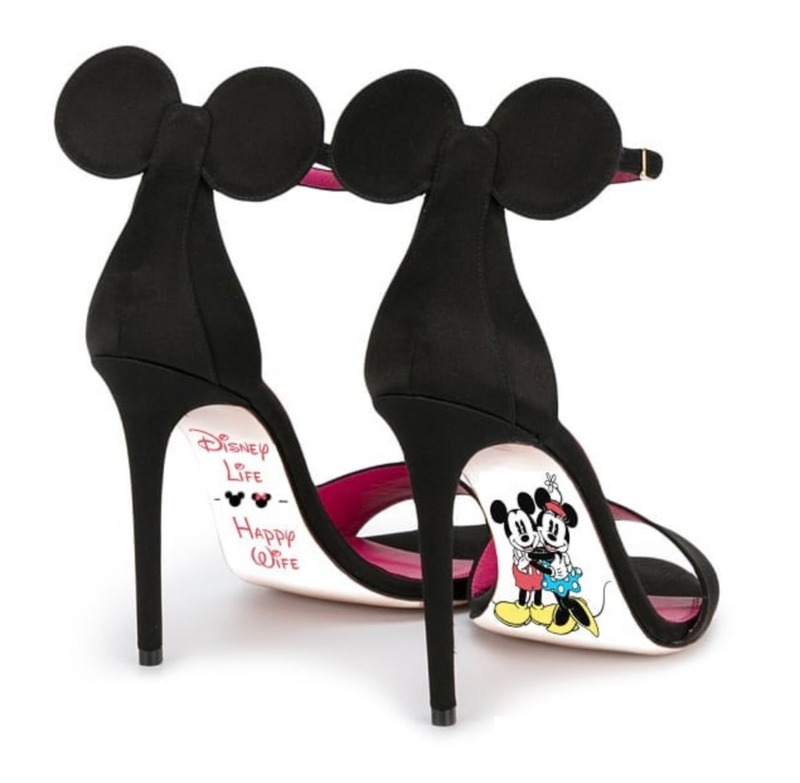 You'll be wearing a pair of hand-painted Minnie Mouse Shoes. After the wedding, they will sit prestigiously in a glass box on your shelf.